If you’re heading to Ibiza for your party holiday this summer, you’ll be getting to know our rep team. A friendly face in resort, our hosts are there to help make your party holiday in the white isle the best it can be! Mia Harper, 20, worked for us in Ibiza in 2018 and shares her secrets! 1. Ibiza is for Everyone. I’d say I’m more alternative. I’ve got crazy hair, tattoos and like rock music so I couldn’t believe it when I found out I was going to be working in Ibiza. I suppose I was quite intimidated by the whole Ibiza scene. You hear so much about it being the home of dance music, this clubber’s paradise. I thought I just wasn’t going to fit it. But Ibiza is really inclusive- it’s for everyone. 2. King of the World. The funniest thing I saw in Ibiza in 2018 was on the Pukka Up Boat Party. A guy decided to do the Leonardo DiCaprio move from Titanic where his character Jack Dawson screams “I’m the King of the World” on the boat’s prow. Unfortunately, he had his passport in his hand which went straight into the water. Luckily, we were able to get him an emergency passport for his flight home the next day! 3. Rudimental, Glitter and Dancing. One of my best memories of the Ibiza season were the Ibiza opening parties when Rudimental performed at Ibiza Rocks. It was packed, you couldn’t move and there was glitter everywhere! Second would be the Ibiza Closing Parties. I reckon 2019 in Ibiza is going to be even better! My favourite of all Party Hard Travel’s events is the Pukka Up boat party. It’s where everything seems to go on. I was watching two groups, one of lads and one of girls and they kept giving each other the side eye. As the host, I was on the ball wondering what was going on and doing a bit of investigating. Turns out one of the guys and one of the girls had met out in Kavos years ago. They got together again and I had a message from them saying they’re still dating! There’s this misconception that reps or hosts are not the brightest and that it’s a role for someone without any ambition or qualifications. I worked for Party Hard after gaining a Level 3 Digital Marketing Qualification and I was thrilled to be offered a full time job for Party Hard at the end of it, so a few of you might see me again this year! 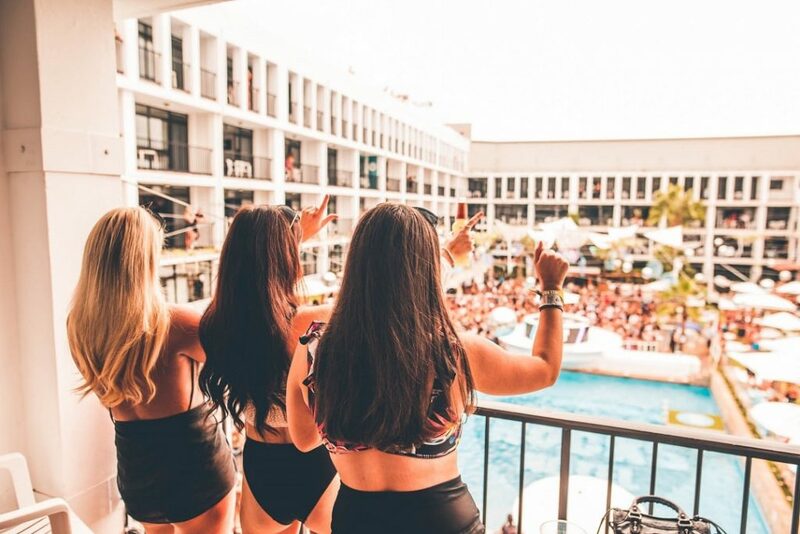 Make Ibiza a part of your summer ’19 by booking your party holiday with us now. Access to our brilliant team of hosts is included for free as part of your Essentials Events Package. Book your Ibiza Ultimate Events Package for £129 here!